Today in new American discoveries: Chocolate for breakfast is totally okay. Cool. You mean like champorado, right? 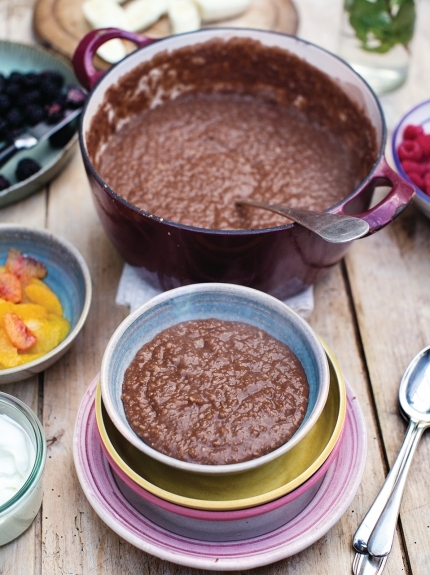 Celebrity chef Jamie Oliver posted a recipe a couple of months ago on his website for “chocolate porridge.” Unlike our beloved champorado though, he uses porridge oats, and has a number of extra (in all senses of the word) ingredients like blanched hazelnuts, Medjool dates, vanilla extract, Greek yogurt, and fresh fruits. Now The New York Times picked it up and has elevated it into this magical new breakfast treat that makes American mornings a little brighter. Congratulations on discovering a chocolatey new way to enjoy breakfast, America. Took you long enough. While they call their cocoa-loaded oats as chocolate porridge, our side of the world knows it better as champorado—using rice, of course. The history of the humble but beautiful champorado dates back to the days of the Manila Galleon Trade. Originally, it was a thick drink from Mexico called champurrado. Champurrado is prepared with masa de maiz, masa harina or corn flour, panela, water or milk, and occasionally with cinnamon, anise seed, or vanilla. It is also traditionally served with churros. 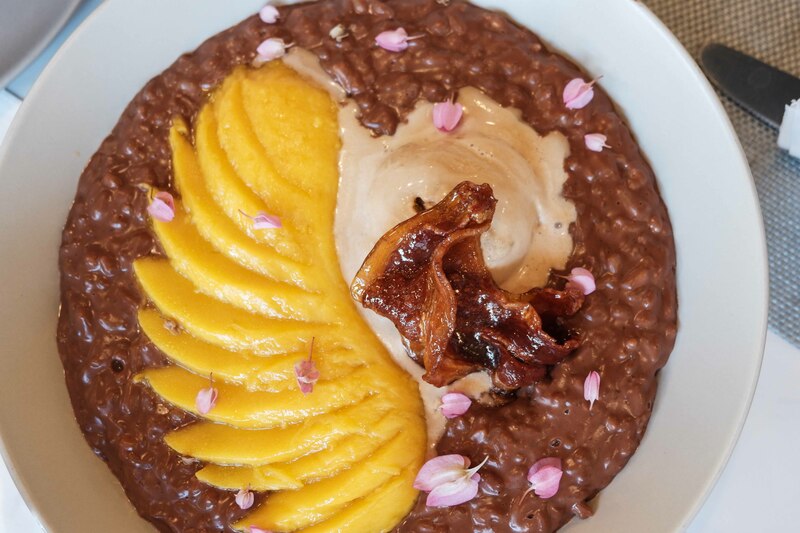 The period of trading between the Philippines and Mexico via the Spain-established trade route resulted in the adaptation of champurrado into champorado, a sweet chocolate rice porridge we now enjoy as breakfast. Centuries later, our champorado culture has evolved. We now have instant mixes and even alternatively flavored ones. Take Boracay’s Sunny Side Cafe, for instance. Their champorado uses Malagos chocolate instead of the usual cocoa or tablea, and is topped with bacon instead of tuyo. 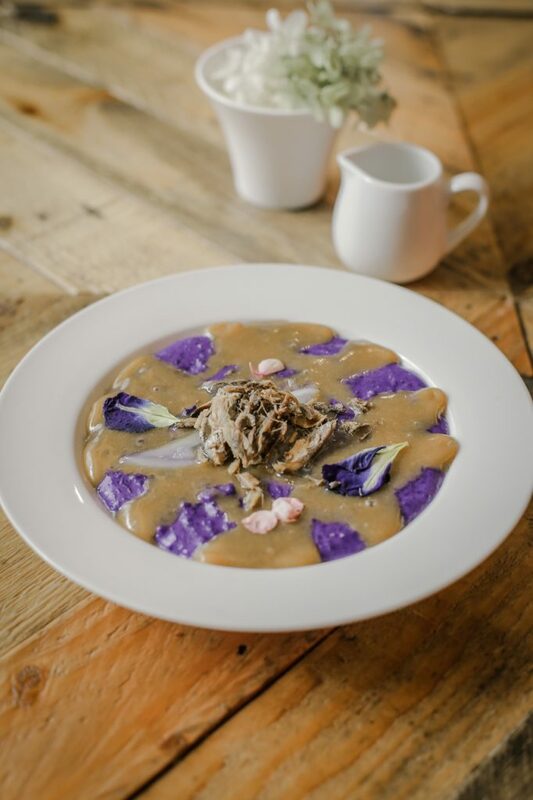 If we’re talking “trendy” Filipino cuisine, there’s Flossom Kitchen + Cafe’s ube champorado, which is served with yema sauce and shredded tuyo. How do you prepare your champorado? Share with us your photos on Instagram by tagging us @nolisoli.ph or using the hashtag, #nolisoliph. Why do we need the Western world to validate our cuisine as a “trend”?